3507 Players from 29 States and 7 Union Territories participated. Technical conduct by 578 nationally and internationally certified Technical Officials. Approximately 550 Talents is to be identified during the Talent Identification process. Tableau of the Ministry of Youth Affairs & Sports for Republic Day 2018 was adjudged the best Tableau among all the Tableaux of the Ministries/Departments of the Government of India. In a ceremony in New Delhi on 28th January, Secretary (Sports) received the Trophy and Certificate for best Tableau from Hon’ble RakshaMantri. Theme of the Tableau of the Ministry of Youth Affairs & Sports was Khelo India. 1178 sports talents have been identified & they will be imparted training for next 8 years with annual expenditure on each athlete of Rs. 5 lakh. In Swimming, Srihari Natraj from Karnataka won 6 Gold Medals and 1 Silver Medal. He broke Senior National 100 Mtr Backstroke record in KISG 2018. His previous time was 57.20 seconds and he gave 56.90 in KISG. He qualified for Asian age group and Youth Olympic Games. In Shooting, Manu Bhaker from Haryana with the score of 387 achieved the new National record Air Pistol Women Qualification round. In the finals also, Manu Bhaker with the score of 241.1 broke her own National record, achieved in Kerala, 2017. She is also quota winner of Youth Olympic Games, 2018. In Athletics, Abhishek Singh of U.P won the Gold in Shotput with a throw of 18.73 m and was declared the best Boy athlete. In 100 m hurdles,Aparna Roy of Kerala secured the Gold medal with a timing of 14.02 sec and was declared the best Girl athlete. India Infrastructure Finance Company Limited (IIFCL) made contribution of Rs.10.00 Crore to the NSDF. This was the third installment of contribution made by the IIFCL making the total contribution Rs 30.00 Crore. 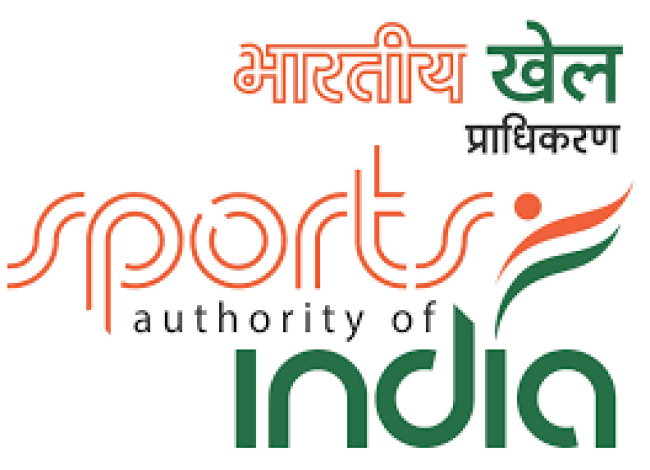 The IIFCL contribution is being utilized for promotion of sports in the disciplines Badminton, Archery and Para Sports by way of support to sportspersons in these disciplines for their customized training and other services and setting up of Academies/Support to Academies in these disciplines. National Sports Development Fund (NSDF) was established with the objective of promotion of excellence in sports through support to top level sportspersons who are medal prospects in Olympics and other major international competitions and creation of sports infrastructure in priority disciplines etc. The Fund accepts contributions from private/public corporate sectors, other legal bodies like Trusts/Societies, individuals etc. India competed at the 2018 Commonwealth Games on the Gold Coast, Australia from 4 to 15 April 2018. It was India's 18th appearance at the Commonwealth Games. With 26 Gold medals and a total of 66 medals (26 Gold, 20 Silver and 20 Bronze), India finished 3rd for the tournament. It was India's best position since the 2010 Commonwealth Games. University Grants Commission has recently graded the Lakshmibai National Institute of Physical Education, Gwalior in the highest category i.e. Category-I Deemed to be University as per the provisions of the UGC [Categorization of Universities (Only) for Grant of Graded Autonomy] Regulations, 2018 vide its letter dated 19.06.2018. Prior to it, this Institute has been accredited as A++ by the National Assessment and Accreditation Council (NAAC) and awarded with the "Excellent Institute of Physical Education in India" during 11th National Education Summit 2017 and 2nd National Higher Education Summit for Skill Development held at Vigyan Bhawan, New Delhi. With a view to rationalize and simplify the selection of top performing university in sports for award of Maulana Abul Kalam Azad (MAKA) Trophy, the Union Sports Minister approved the revised guidelines for MAKA Trophy on 8.6.2018. Under the revised guidelines, the applications from the universities, which were hitherto used to be invited and scrutinized by the Association of Indian Universities (AIU), will be invited by the Ministry of Youth Affairs & Sports/Sports Authority of India. Scrutiny of applications will also be done by the Ministry of Youth Affairs & Sports/Sports Authority of India. Criteria for calculation of marks for selection of universities for MAKA Trophy has been revised. Tournaments which are held more than once a year will not be considered for computation of marks. The amount of award money for the overall all winner university has been enhanced from Rs. 10 lakh to Rs. 15 lakh and for 1st Runner-up and 2nd Runner-up universities, the amount of award money has been enhanced from Rs. 5 lakh to Rs. 7.5 lakh and Rs. 3 lakh to Rs. 4.5 lakh respectively. In a major step for the welfare of Sports persons, the Union Sports Minister approved the upward revision of pension to meritorious Sports persons on 7.6.2018. Under the revision, the rate of pension has been doubled of the existing rate of pension on winning medals in international sports events. The new rates of pension range from minimum of Rs. 12,000/- to maximum of Rs. 20,000/- per month. The rate of pension of medal winners in the Para-Olympics Games and Para Asian Games will be at par with the medal winners in the Olympic Games and Asian Games respectively. The revision in rate of pension will be effective from 1st April 2018. Following the successful conduct of the Khelo India School Games, the Department of Sports took another significant step towards the development of sports on 22.7.2018 and cleared 1178 players for a scholarship programme under Khelo India Talent Identification Development scheme. The scholarship programme is designed to take care of their expenses including training, development, boarding and lodging and tournament exposure apart from offering them out of pocket expense allowance. Under this programme, an annual stipend of Rs. 1.2 lakhs will be given to the players on a quarterly to meet their out of pocket expenses, treating injuries and even smaller but very important elements like local travel for themselves and their parents/ family members. In the beginning of the year, NADA put it efforts during the 1st Khelo India School Games, Delhi so that the integrity of sports be maintained and the participating sports persons may become aware of International Standards for sports integrity and a total 377 dope tests were conducted by NADA to make the school games dope free. In the run up to the Commonwealth Games and Asian Games held in mid 2018, NADA tested as many as 498 Indian Athletes prior to Asian Games, which was the largest testing conducted by NADA before any international games. Out of these, 54 Indian athletes who were training abroad in preparation for the Asian Games, were got tested by NADA in various countries including Czech Republic, Netherlands, Finland, Germany, Thailand and Bhutan. To monitor the Code Compliance activities, World Anti Doping Agency (WADA) audit team audited anti doping program of NADA, India last year. Followed by Corrective Action Report recommended by audit team of WADA, NADA, India has implemented the corrective action in various areas and maintains its Code Compliance. As per the annual statistics report published by World Anti Doping Agency (WADA), the number of anti doping rule violation in India has come down. Such decrease in the number of doping incidence brought India from 3rd to 6th place globally. The National Sports University Bill, 2018, which was introduced in the Lok Sabha on 10.08.2017, for establishing a National Sports University in Manipur as part of a vision to enhance country’s standing in sports, was passed by both Houses of Parliament during the Monsoon Session, 2018. After receiving the assent of the President, the National Sports University Act, 2018 was published in the Gazette of India on the 17th August, 2018. National Sports University in Manipur will be first of its kind to promote sports education in the areas of sports sciences, sports technology, sports management and sports coaching besides functioning as the national training centre for select sports disciplines by adopting best international practices. The University will impart Bachelor’s, Master’s and Doctoral programmes in Sports Coaching, Sports Sciences and physical Education in various disciplines. Specialised degree programmes in various sports education and coaching disciplines are envisaged in the future. Hon’ble Prime Minister laid the foundation stone of the National Sports University in Imphal on 16.3.2018. National Sports University has started functioning from a temporary campus in Khuman Lampak Sports Complex, Imphal. First academic session started with Bachelor of Physical Education and Sports (BPES) and B.Sc. (Sports Coaching) Courses with effect from 15.01.2018. Admission to academic session 2018-19 have also been completed. Apart from BPES and B.Sc. (Sports Coaching), one new post graduate courses viz., MA (Sports Psychology) has been introduced. President of India Shri Ram Nath Kovind on 25th September, 2018 conferred National Sports & Adventure Awards 2018 in a ceremony held at Rashtra pati Bhawan. In National Sports Awards category, the most prestigious Rajiv Gandhi Khel Ratna was conferred to S. Mirabai Chanu (Weightlifting) and Virat Kohli (Cricket) while Dronacharya Award, Arjuna Award and Dhyan Chand Award were conferred to 32 sports persons/coaches in various disciplines. Tenzing Norgay National Adventure Award was conferred to 10 persons in categories of Land Adventure, Water Adventure and one (1) award to Life Time Achievement category. MaulanaAbulKalam Azad Trophy was conferred to Guru Nanak Dev University, Amritsar. Rashtriya Khel Protsahan Puruskar was conferred to three (3) entities namely Rashtriya Ispat Nigam Limited in Identification and Nurturing of Budding & Young Talent category, JSW Steel in Encouragement to Sports through Corporate Social Responsibility and Isha Foundation in category of Sports for Development. Union Sports Minister approved the participation of Kho Kho team from India at the First International Kho Kho Championship in England from 1st to 4th September, 2018, with financial support from the Government of India. The approval was given for the first time in relaxation of extant guidelines of the Ministry which, inter-alia, lay down that sports disciplines like Kho Kho, which are categorised as “Others”, will not be eligible for financial support for participation in International sporting events. Indian sportspersons and teams put a very commendable performance in Asian Games 2018 held at Jakarta and Palembang (Indonesia) from 18th August to 2nd September, 2018. India won 69 medals (15 Gold, 24 Sliver and 30 Bronze) and was placed at 8th position in medals tally. Hon’ble Prime Minister felicitated the medal winners of Asian Games 2018 on 5th September, 2018. In a separate function organized by the Ministry to felicitate medal winners of Asian Games 2018 on 4th September, 2018, the medal winning sports persons were also given cash awards. The gold medal winners were given Rs. 30 lakh Silver medalists Rs. 20 lakh and bronze medalists Rs. 10 lakh. India finished overall 9th in the medals tally with 72 medals (15 Gold, 24 Silver and 33 Bronze medals) the highest ever by India at an Asian Para Game (APG), outdoing the previous best by a huge margin. India finished overall 14th in the medals tally with 13 medals (3 Gold, 9 Silver and 1 Bronze medals) the highest ever by India at Youth Olympic Game (YOG), in Buenos Aires, Argentina, outdoing the previous best. The Ministry of Youth Affairs & Sports is operating PanditDeendayalUpadhyay National Welfare Fund for Sportspersons (PDUNWFS) with a view to assisting outstanding sportspersons of the past, living in indigent circumstances, who had brought glory to the country in sports. Rs. 5 lakh to family of Shri SumitRabha, former football player for medical treatment. Rs. 5 lakh to Ms. KhaidemKalambiaChanu (Fencing) for medicaltreatment. Rs. 5 lakh to MsGohelaBoro, Archer for Medical Treatment. Rs. 5 lakh to Shri Ashok Soren, Archer for Medical Treatment. Rs. 5 lakh to Ms. Garima Joshi, Athlete, for Medical Treatment. Rs. 5 lakh to Shri Prem Lal, former Wrestler for Medical Treatment. Rs. 10 lakh to Shri Hakam Singh, former athlete for Medical Treatment. Rs. 2 lakh to MsVandanaSuryavanshi, former Judo player for ameliorating financial condition. The 2018 AIBA Women's World Boxing Championships was held at KD Jadav Indoor Stadium at New Delhi, India during November 15-24, 2018.In the finals of the light flyweight category Mary Kom of India beat Ukrainian boxer Hana Okhota to win the gold, creating history by becoming the first woman boxer to win six gold medals in the AIBA World Boxing Championships. India stood 3rd in the medal tally with one gold, one silver and two bronze. In order to strengthen the overall sports ecosystem in the country and to develop expertise in various sectors, this Ministry has funded and guided Indian Institute of Management (IIM), Rohtak to commence a 2-year course. This Post-Graduate Diploma in Business Management in Sports from academic year 2018-19 at par with other Business Management courses of the Institute has already started. A scheme of National Centre of Sports Sciences and Research (NCSSR) which aims to support high level research, education and innovation with respect to high performance of elite athletes has been started. The scheme has two components: One is setting up of NCSSR at NIS, Patiala, and other is focused on creation of support to Sports Sciences Department in select Universities and Sports Medicine Departments in select Medical Colleges/ Institutes/ Hospitals. MYAS would fund Rs.25 crore to selected Universities and Rs.12.5 crore to selected Medical Colleges/ Institutes/ Hospitals over a period of 5 years and later they would become self-reliant. The Sports Medicine Departments of the Medical Colleges will offer post MBBS degree i.e. MD in Sports Medicine and Diploma in Sports Medicine. The Sports Science Department of the universities will offer degrees such as M. Sc. in Sports Physiology, Sports Biochemistry, Sports Nutrition, Sports Bio mechanics, Sports Training Methods; MPT in Sports; M.A in Sports Psychology; and Certificate Course in Sports Anthropometry. In connection with second component of the scheme, following 6 Universities and 6 Medical Colleges/ Institutes/ Hospitals have been selected in different parts of the country for setting up Departments of Sports Science and Sports Medicine therein respectively. List of Universities/Institutions selected for funding to support Sports Sciences department: (i) Guru Nanak Dev University, Amritsar (ii) Lakshmibai National Institute of Physical Education, Gwalior (iii) National Institute of Nutrition, Hyderabad (iv) Annamalai University, Tamilnadu (v) Central University of Rajasthan, Ajmer, Rajasthan and (vi) University of Calcutta, Kolkata, West Bengal. List of Universities/Hospitals/Medical Colleges selected for funding to support Sports Medicine department: (i) King George Medical university, Lucknow (ii) VardhmanMahavir Medical College and Safdarjung Hospital, New Delhi (iii) Pandit Bhagwat Dayal Sharma University of Health Sciences, Rohtak, Haryana (iv) Bangalore Medical College and Research Institute, Bengaluru, Karnataka (v) KEM Hospital and Seth G S Medical College, Mumbai and (vi) Regional Institute of Medical Sciences, Imphal. 20. Scheme of Special (Cash) Awards to Medal Winners in International Sports Events and their Coaches: Rs. 11.02 cr. has been given to winning sportspersons under this scheme during 2018-19 so far.